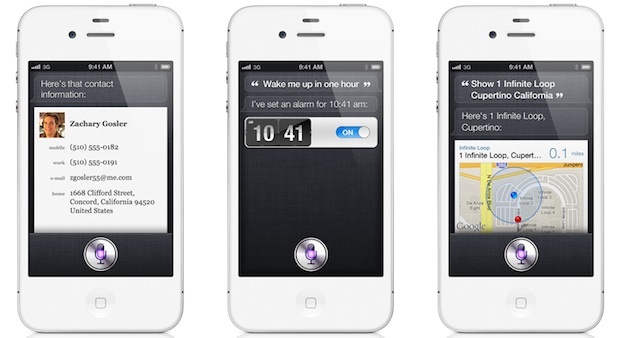 The unlocked iPhone 4S is now officially available for purchase through Apple through their website and in Apple Stores. An unlocked iPhone is sold at a high price due to the lack of a contract subsidy, but the major advantage is that the phone can be used on any compatible GSM network through the purchase of a microsim card. In the USA, this means an unlocked iPhone would work with T-Mobile, AT&T, and some pay-go plans. Additionally, anyone in possession of an unlocked phone can use the device in another country simply by picking up a local sim card, avoiding costly roaming fees. These prices are from Apple in the USA. Buying one online is easy through the Apple Store, select the color of the phone you want and then select the “Or get iPhone unlocked and contract-free” link near the bottom of the page. Apple cautions that you can’t use unlocked phones on CDMA networks like Verizon or Sprint. However, if you buy an iPhone 4S from Verizon or Sprint, you can request the SIM card slot be unlocked through them after you’ve had the iPhone within their contract for 90 days. Unofficially, all off-contract iPhone 4S models have been sold unlocked anyway. I don’t think it’s worth the price, especially when you can unlock the SIM slot through VZ or Sprint anyway. You’d still be in a contract with them, though. VZ and Sprint’s unlocks only work for non-US sim cards. Its worth the price if you don’t want to pay Verizon’s or Sprint’s prices and you just want a paygo phone. I don’t need $30 internet access in my pocket. There’s plenty of wifi for free. Slap in a $15 paygo tmobile sim, add a $5 skype unlimited voip number and you’ve got a $20/mo iphone that can still use wifi for FREE. Anytime you’re in wifi range, use skype for calls instead of your paygo minutes. $2240-$1130= $1110 in the bank, your 401k, IRA, VUL, your pocket, or wherever YOU want it. But then you are using Skype and only have 150 miutes with no data plan, right? So does it mean that once you get the CDMA’s SIM slot unlocked you can use any GSM SIM ? Can a user switch between CDMA and GSM i.e. have two numbers on the same phone with different carriers? Yes but only if you have a CDMA carrier to begin with and then use their sim unlock, the unlocked iPhone is GSM only. From the info I’ve been able to find, if you get a CDMA carrier’s iphone unlocked, they only allow it for traveling overseas. You can only use a sim from another country(non-us). After spending 1.5 hours on the phone with Verizon’s Global Support Team (yeah, right), I finally got them to tell me that Verizon had Apple lock this function out. (Another colleague on this trip has an ATT 4S, and it has the option to switch GSM carriers.) Thus, I spent an incredible amount of money on a phone that WILL NOT work! There are several countries that have CDMA networks and I am afraid (although, not sure) that the 4S will not switch to GSM when I am in those countries as well. I intend to file suit as soon as I return. The phone is useless. Does anyone know of a way to add the capability to change networks (switch from CDMA to GSM) on a jailbroken 4S? I did the jailbreak, but am a noob when it comes to that stuff. Any help would be appreciated. If there is a sim inserted in a verizon “unlocked” iphone 4s it will switch to that GSM network (US or Non US). When you remove the sim card it will switch back to CDMA. Actually what is more interesting in this discussion is that you cannot actually buy the unlocked device… not on the East Coast at least. I have tried a few dozen stores from the mid-Atlantic to NYC and Boston – none in stock. So the discussion may be a moot point in any case… doh! can i unlocked my iphone 4s its on contract? i bought my (3) iphone 4s from Sprint Sept 2011, they advertised it was unlocked but guess what…nope… nor will they unlock it though I am relocating to England in May 2012. I have been on the phone with them 2 days and the international department will NOT unlock it and I am a 220$ a month customer in good standing. Now I either will sell it and purchase an iphone right from Apple and drop Sprint, or hope when the jailbreak-unlock comes out see if I can then use my sim slot with a foreign sim pay as I go. Sprint is a BIG rip off anyways I discovered bc though I pay for 3 lines and we have an unlimited data account on all phones, they have blocked the hotspot feature on iphones (Sprint) and tell you to pay 35$ in addition to use that feature! OMG what a BIG RIPOFF SPRINT! im from middle east i want to buy an iphone 4s unlocked cdma and i can switch it to gsm anyhtime ..
what model from iphone 4s i should buy which have this specfic plz can any one advice me??? Buy an unlocked iPhone 4S, you can’t switch CDMA networks only the GSM network is changeable via the SIM card slot. To get this one you just buy one without contract from Apple Stores. Can anyone tell me whats the actual price of 4s factory unlocked in usa?? I’m back to my country, i want to buy 4s factory unlocked from usa..